Virginia Space Grant Consortium supports a number of rocketry-based programs including the RockOn! workshop, the Intercollegiate Rocket Engineering Competition, Midwest Rocketry, RockSat teams and numerous other workshops and programs related to rocketry. VSGC, in partnership with Colorado Space Grant Consortium, offered the annual RockOn! workshop hosted by NASA Wallops Flight Facility each summer. RockOn! is a workshop for faculty and students in which participant teams learn to build a small sounding rocket payload from kits and launch it on a sounding rocket. VSGC provided funding to support one student-led team from ODU to participate in the RockSat-C program. VSGC is also supporting VT for a RockSat X project. VSGC also provides onsite logistical support for the RockOn! workshop. Learn more about RockOn! here. 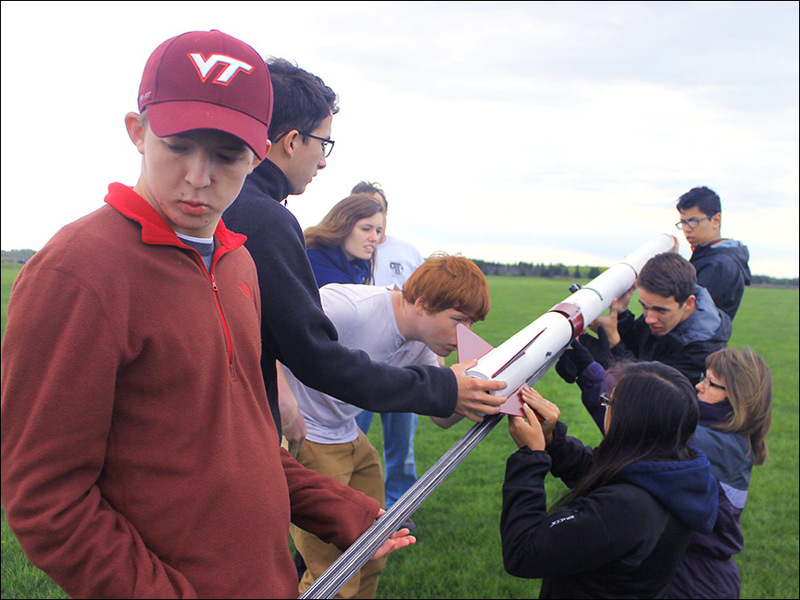 VSGC sponsored the inVenTs High-Power Rocketry Team at VT during the 2017/18 academic year in order to allow the team the opportunity to participate in NASA’s Space Grant Midwest High Power Rocket Competition. 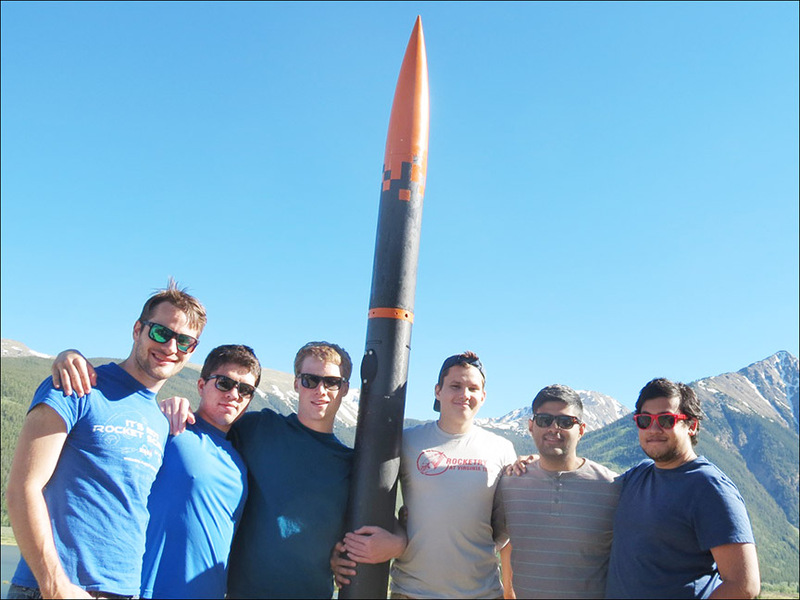 The interdisciplinary undergraduate team of students built a dual-deploy high-power rocket with a roll-control component and radio-based communication system that reached an altitude of at least 3000 feet. The VSGC helped fund the design, build, test launch, and competition fees. A total of 21 students and two faculty members participated in the project. VSGC supported an undergraduate team from VT to participate in the Intercollegiate Rocket Engineering Competition for the 2017/18 Academic Year. 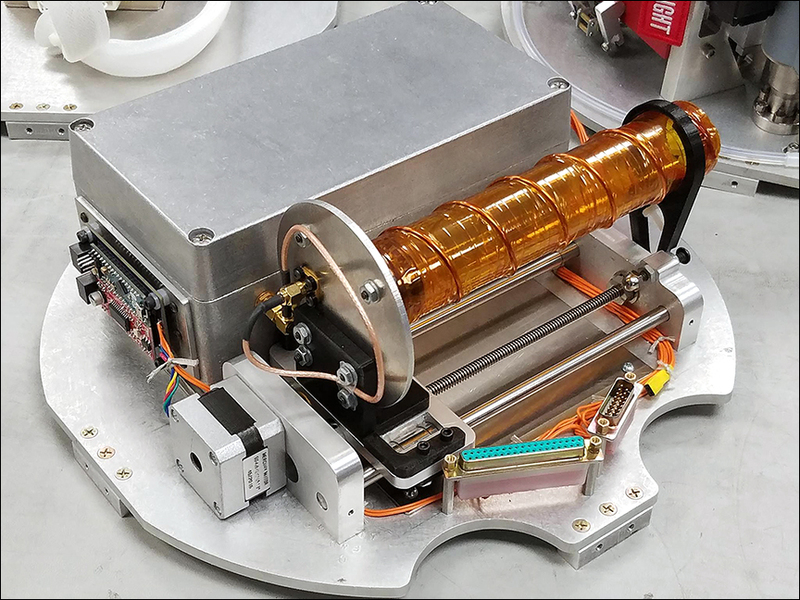 The team developed a sounding rocket with a CubeSat-style payload to launch to an altitude of 10,000 feet at Spaceport America in Las Cruces in June 2018. VSGC contributions helped fund research and prototyping costs, construction of launch vehicle and payload systems, and competition fees. A total of 39 students and three faculty participated in the project. VSGC supported the VT RockSat-X 2018 team which has 10 students spanning all four academic years and multiple engineering and science disciplines. The team designed and manufactured a sounding rocket payload to be launched from NASA Wallops Flight Facility. The payload consists of a platform to launch small satellites designed by high-school students into space to participate in our sub-orbital flight. The team is working with students from Blacksburg High School, who are designing their own science and technological experiments. Funds from VSGC covers launch fees and hardware for students. More about the RockSat-X group can be found here.